We are proud to be your family owned and operated Toyota dealership since 1951. 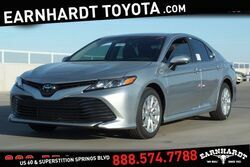 At Earnhardt Toyota take great pride in keeping the shopping process simple and straightforward. 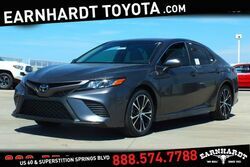 Here you will find an exceptional selection of new vehicles straight from Toyota, including the Camry, Corolla and Prius. 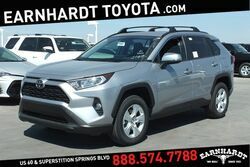 For even more great options, we invite you to explore our large variety of used and Toyota Certified Pre-Owned models. Whether you’re looking to lease or buy, our team of experts are here to help you find great financing options. In addition to our quality vehicles, Earnhardt Toyota is also home to an award-winning service department staffed by our team of Toyota factory trained and certified service technicians. There our team can help with anything your vehicle might need, including automotive repair and service. No matter what brings you to Earnhardt Toyota, you can always expect the best from our team of experts. 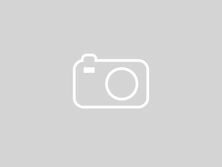 We invite you to browse our complete inventory online today! Or stop by and see all that we have to offer with a visit to our state-of-the-art dealership. We look forward to meeting you.